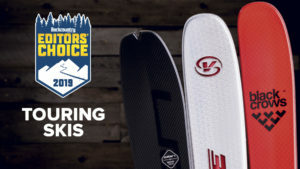 This year’s best skis are focused on transcending boundaries. 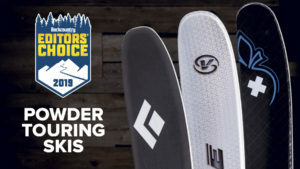 From light skintrack slayers that can muscle through crud to fat powder boats that charge edge to edge, 2019’s Editors’ Choice lineup proves that the best skis are no longer defined by just one characteristic. 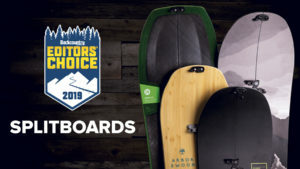 From 115 models skied at this year’s Powder Mountain Gear Test Week, our testers identified the Editors’ Choice winners that can bound uphill, rail and float on the down and crossover from one category to the next. 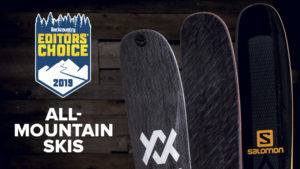 Here are the 2019 Editors’ Choice all-mountain skis. For in- and out-of-bounds pursuits, these skis are the magic bullets, better known as the quivers of one. 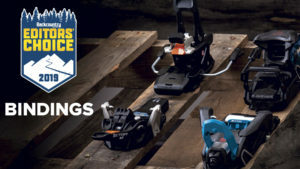 Waist widths fall in the 90s and low 100s with mild rocker profiles for well-heeled reliability in soft and hard conditions, and weights run the gamut from scant to sturdy. 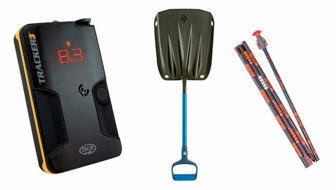 Want in-depth tester feedback on these products? 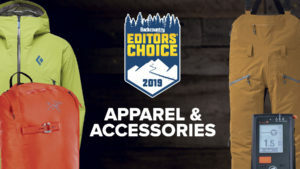 Buy a copy of the 2019 Gear Guide, brimming with reviews of all 38 Editors’ Choice winners, plus almost 200 other must-have skis, splitboards, boots, bindings, clothing and accessories. Just 3 skis in this category, I don’t think so. 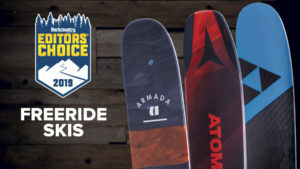 Hi Rich, These three are just the Editors’ Choice winners of this category—we’ve reviewed 22 more all-mountain skis in the Gear Guide, and they can’t all be winners, right? 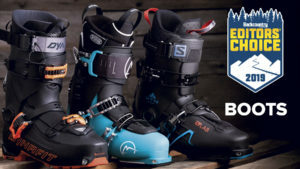 You can find the full reviews of these three and all the others in the Gear Guide, available now: https://shop.holpublications.com/products/backcountry-magazine-122. I’m not sure, but I think I’ve just been sneered at. What, exactly, does the quote mean? They removed a significant amount of weight from this ski this year, which to us means it’s better suited to all-around skiing and touring, rather than being purely bent on charging/liftserved/freeride turns. Yeah, that was a sneer. Apparently, if you’re not spending all day to get on top then giving it all up in only 3 turns, you’re now a “beginner”. So. Very. LAME.